Embedding an EDpuzzle is as simple as copy-paste! 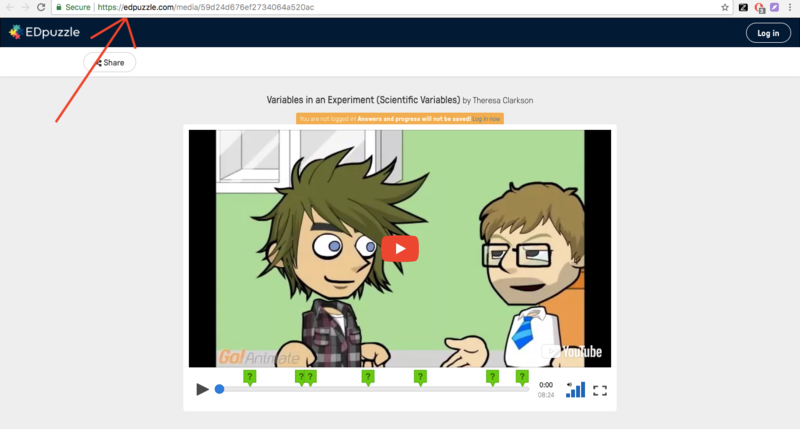 There are 2 types of links you can add from EDpuzzle: Videos and Assignments. Click on the &apos;+&apos; icon and select &apos;Embed&apos;. 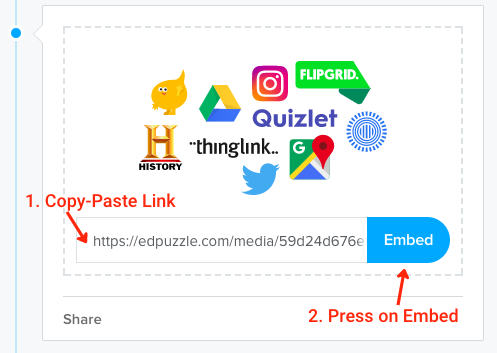 You can simply copy-paste the link from EDpuzzle into the embed item on Sutori as on the screenshots below. If you wish to get students to record responses. Log in as a Teacher in EDpuzzle, assign the video lesson to a class, click the "Watch as a Student" link and finally copy that link to the embed item on Sutori.